Stealth is key for a successful harvest. You want to either sound like the surrounding habitat or nothing at all. How else are you going to get close enough for a clean shot without being detected? 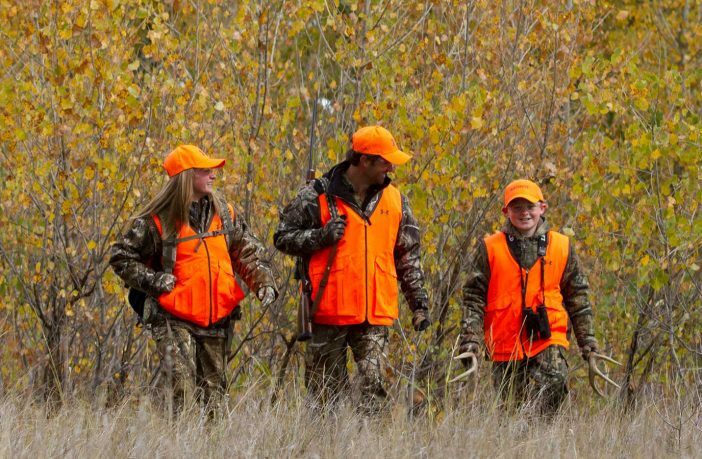 Another concern – hunters want to remain invisible but it can be unsafe when there are other hunters in the area. Here are some tips and tricks on staying safely undetected in the field. A game camera is great because you can learn about wildlife in the area without having to scout it on a daily basis. When you go out and install your game camera, make sure you put it somewhere with a clear view of the trail. Conduct a quick test to ensure it is working properly and that the image quality is clear. Good reception is key, and if you want up-to-date footage from your trail cam, then make sure you place it in a spot with a reliable cell signal. Be sure to check your state and local laws regarding use of game cameras. It’s not easy walking around in the woods without making some noise. Depending on the game, calls are a great way to bring the animals to you. Find a place to position yourself that is downwind from the wildlife and use the appropriate call to call them toward you. Remember, not all animals can be called in. Take the time to learn the animal you’re hunting and use the proper tactics. Consider using different types of calls. The more you practice, the better your call will be. An animal may feel as though something in its environment is wrong, but if they can’t identify what, a well-placed scent might put their mind at ease and lure them in for an even better shot. Another way to stay hidden is through distraction and decoys are a great way to accomplish this tactic. Convincing decoys can hold an animal’s attention long enough to give you a better shot opportunity. Scent is another way to confuse an animal. 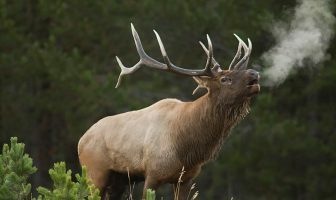 An animal may feel as though something in its environment is wrong, but if they can’t identify what, a well-placed scent might put their mind at ease and lure them in for an even better shot. You want to be as invisible as possible, but not so invisible as to go unnoticed by other hunters. 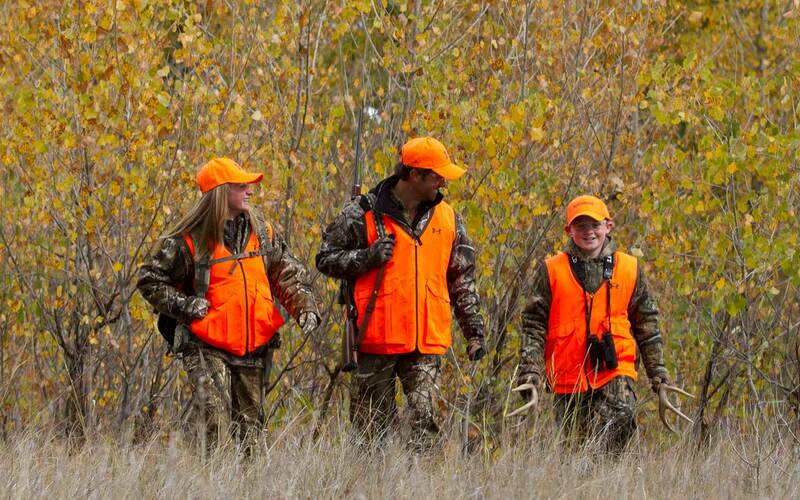 Wearing blaze orange is a great way to alert other hunters of your presence. The blaze orange is easily seen by hunters, but most animals in the wild are unable to see it. An exception for wearing blaze orange would be during turkey or migratory bird seasons. In some cases, it can be disadvantageous to wear blaze orange as another hunter could mistake your safety gear for the “red” of a turkey’s head. It is important to always follow your state’s safety laws and regulations. Take the time and properly do your research before heading out into the field. Remember that every state, season and game management unit is different. Take extra precautions when hunting in heavily-trafficked public areas so you don’t run the risk of injuring yourself or others. Stay safe this hunting season!